Process integration and automation are crucial to increasing efficiency in injection moulding production. At the same time, however, they make the manufacturing processes more and more complex. Making the operation of highly-integrated and automated production processes easier, more comfortable and safer was therefore the declared goal of ENGEL in the development of its new CC300 control unit generation, which will be presented in Poland for the first time at PLASTPOL 2014. 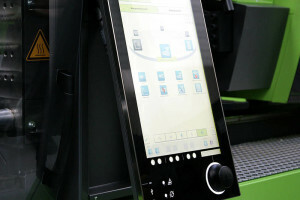 The new features include the extra-large 21″ multitouch display with a new and even clearer structure, separate views for each task, which eliminate operator errors in full-feature scope, and the central control button e-move that gives the operator a feeling for the machine in spite of the multitouch functionality. By being rotated, e‑move enables all machine and robot movements to be controlled millimetre by millimetre and in a speed-sensitive manner. “With the CC300 we are setting a new trend,” says managing director of ENGEL Polska Piotr Nachiło in Warsaw. “The first users’ feedback has been extremely positive.” One main reason has been that the operators are able to figure out the new control unit immediately. The basic principles that operators appreciated in the previous model have been retained. In addition, user technologies that have since become standard were transferred to the demands of the injection moulding processes – for example, the intuitive gesture controls found in smartphones. All four machines on display at the two ENGEL stands feature the CC300 machine control unit. “We invite all visitors at the fair to try out the new control concept for themselves at PLASTPOL,” Piotr Nachiło states. At its main stand in hall F ENGEL will present automotive and packaging applications, and LIM, while the special presentation in hall E is dedicated fully to the new ENGEL e-motion 30 TL injection moulding machine. The main demands as regards the processing of liquid silicone are that it must be fully automatic, waste-free, low in burrs, and require no reworking. A tie-bar-less ENGEL e‑victory 200H/80W/120 combi injection moulding machine – automated with an ENGEL viper 20 linear robot – will impressively show at PLASTPOL that ENGEL system solutions not only meet these requirements fully, but also handle LIM multi-component processes securely and efficiently. A mould provided by ACH solution of Fischlham in Austria will be used to produce sensor housings for flow measurement with integrated seals. Using servo-powered injection units guarantees a particularly high degree of precision, which would normally call for special solutions in the LSR field where very small injection unit volumes are involved but which in this case is provided by a standard unit. The application uses iQ weight control. The software patented by ENGEL recognises fluctuations of the melt volume already during the injection process and automatically compensates for them still in the same shot. 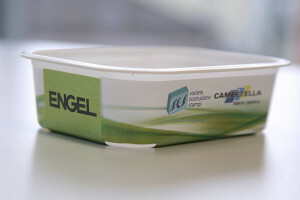 ENGEL’s tie-bar-less design, which celebrates its 25th anniversary this year, offers a number of advantages for silicone multi-component processes. For example, large multi-component moulds can be installed on relatively small injection moulding machines. On the other hand, the patented force divider evenly introduces force to the mould across the whole mould mounting surface. 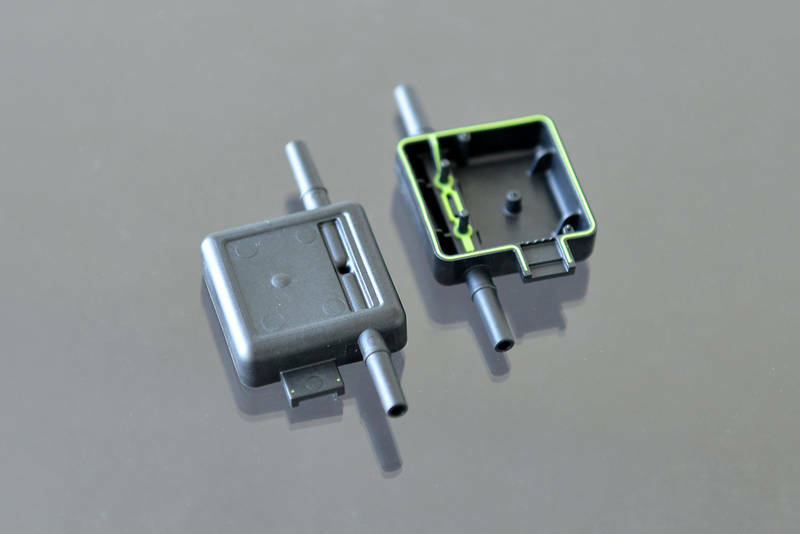 Both outer and inner cavities are thereby kept closed with precisely identical force, significantly reducing mould wear and raising product quality. An ENGEL e-motion 440/160 T plays the lead in the ENGEL packaging exhibition area. At the fair the all-electric injection moulding machine will produce a margarine tub using thin-wall technology and a 2-cavity mould. Thanks to integrated in-mould labelling, the unit costs are very low. Ready-to-fill food packaging with high quality decorations is manufactured in a single step. The project partner for IML Automation is Campetella from Montecassiano, Italy. “All-electric ENGEL e-motion injection moulding machines are increasingly being deployed in high-performance applications in the packaging industry”, says Piotr Nachiło. 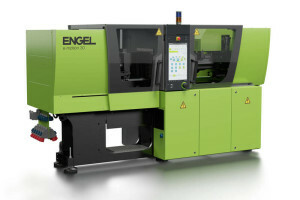 “The consistent ongoing development of this model series is what makes this possible.” The latest generation of ENGEL e‑motion injection moulding machines achieves cycle times of well under 3 seconds and injection speeds of more than 500 mm per second, a performance class that was long the domain of hydraulic accu machines. “We can now combine top performance with maximum energy efficiency thanks to all-electric drive technology”, Nachiło elaborates. Maximum force at comparatively little space – offered by the ENGEL duo dual-platen large-scale machines. With regard to the footprint, the ENGEL duo 500 pico is one of the smallest machines of this series and with a dry cycle time of 2.6 seconds, it is the fastest dual-platen machine available on the market. At PLASTPOL an ENGEL duo 3550/500 pico will manufacture engine covers from glass-fibre and mineral-fibre reinforced polypropylene in collaboration with an ENGEL viper 20 linear robot. In the electronic and telecommunication sectors, it is necessary to combine energy efficiency with maximum precision and flexibility. And yet, as the demands for quality increase, part sizes are decreasing. In order to meet these requirements while keeping costs low, ENGEL has combined the advantages of the tie-bar-less design with those of the all-electric drive technology and added a small, tie-bar-less version to its ENGEL e-motion series. An ENGEL e-motion 50/30 TL will showcase the full potential of this machine innovation by manufacturing connectors. ENGEL has developed a new frame concept for its smallest tie-bar-less machine, which enables a particularly light and very short machine design. With a length of only 3 metres, the ENGEL e-motion 30 TL is the shortest 30-tonne machine with all-electric drive technology on the market. In addition, the barrier-free mould space allows for comparatively large moulds and thus further contributes to a small plant footprint. A fifth ENGEL injection moulding machine awaits visitors at the stand of ENGEL’s partner Lenzkes Spanntechnik (hall F, stand F-4). This is where an all-electric ENGEL e-mac 440/100 will produce dice cups. The ENGEL e-mac machines strive to combine maximum precision with maximum efficiency when manufacturing technical parts and electronic components. Thanks to their remarkably compact design, these machines will also save customers production floor space and lower their operating costs. The servo drives are operated by a modern axis system solution involving a stabilised intermediate circuit. The braking energy is recovered and fed directly back into the grid, guaranteeing an unusually high level of energy efficiency. The ENGEL e-mac injection moulding machines work with very high repetition accuracy and, because of the parallel movements of the different drive axes, reduce cycle times. At PLASTPOL 2014 the machine manufacturer dedicates a separate exhibition area to its service products and services under the heading ENGEL plus. Among others the ENGEL e‑service.24 and the ENGEL e-factory 2 will take centre stage there. With ENGEL e-factory 2, the new release of ENGEL’s MES solution, ENGEL is setting new standards in production data acquisition. 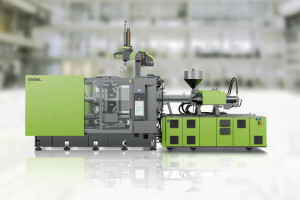 Thanks to its enhanced set of features, ENGEL e‑factory 2 can be connected directly to ERP systems such as SAP – even injection molding machines of different brands can now be integrated. This way the operations manager can keep an eye on production figures from his desk in real time and take immediate counter actions in case of deviations. This leads to greater productivity and higher production plant availability. The ENGEL e-service.24 package also contributes to availability. 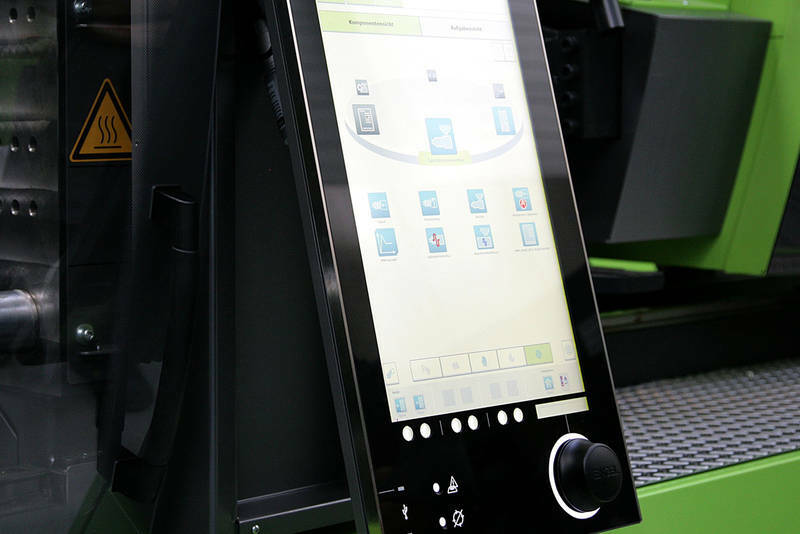 ENGEL service engineers can use a remote connection, after approval by the customer, in order to access the machine data in real time, and immediately start troubleshooting following an error message. The ENGEL team can give the machine operators on site specific instructions and explanations by audio, video or text conferencing. 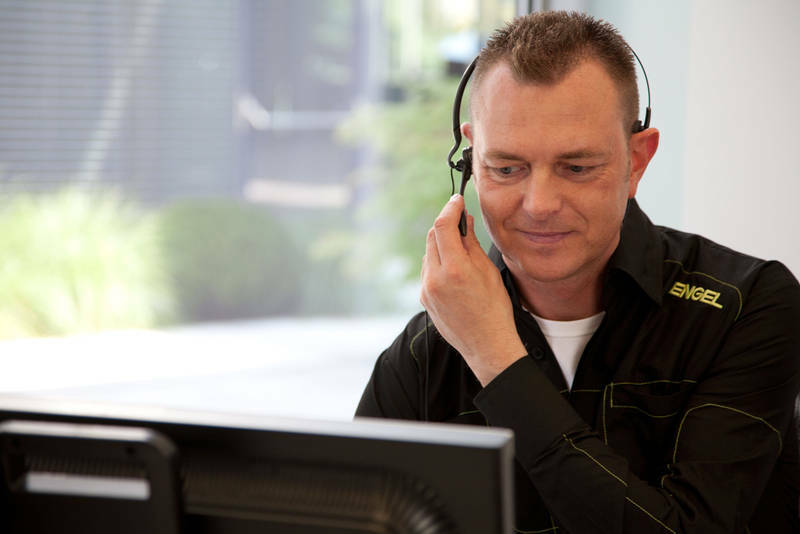 Many problems can easily be resolved over the Internet in this manner, and plastics manufacturers can avoid a costly and time-consuming service call on-site. The service products are firm features of ENGEL’s system philosophy. Even for pre-existing machines, robots, and system solutions they continue to offer new optimising potential in the course of the entire machine life cycle.